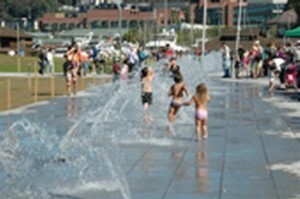 Lake Union Park has a spray feature sidewalk that bubbles up with lots of spraying water. Plus, access to green spaces and the cultural, maritime, and industrial heritage of the city and region. 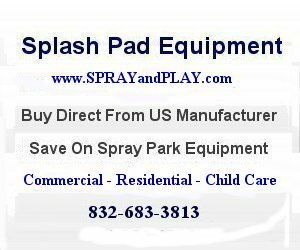 This entry was posted in Washington and tagged Seattle, splash pad, spray park, sprayandplay, Washington, water vortex. Bookmark the permalink.